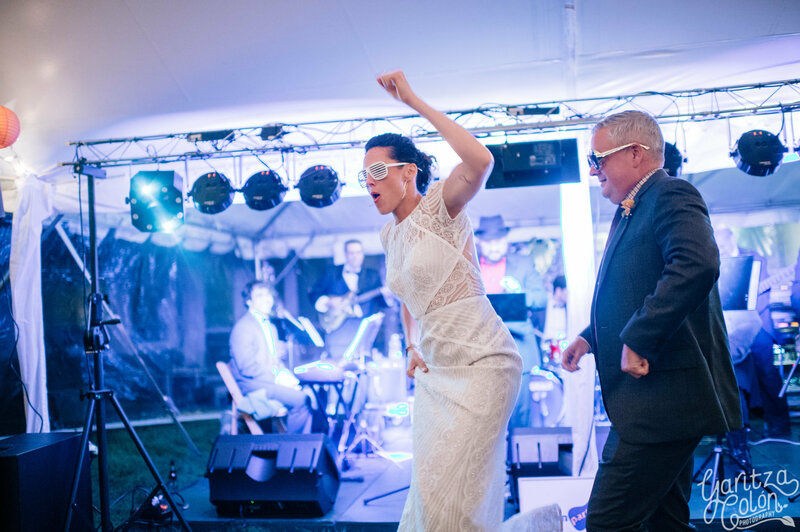 Boston Party Machine was honored to play Amanda and Steve’s wedding on Martha’s Vineyard (where the couple got engaged one year prior). Going with the vibe of “Vineyard Shindig”, their celebration was relaxed, intimate and chic in a way that truly reflected them: the wedding and reception took place at a family member’s beautiful ocean front property, it was officiated by Steve’s friend, and Steve’s twin boys took part in the ceremony. The onsite coordinator was a good friend of Amanda’s, Kate Putis, and she did a great job of holding the evening together! 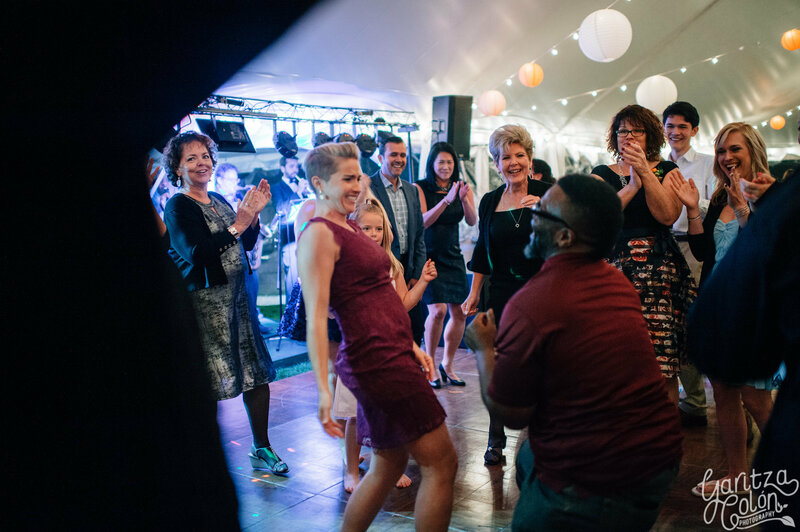 In a unique move, Amanda and Steve chose to have two first dances! 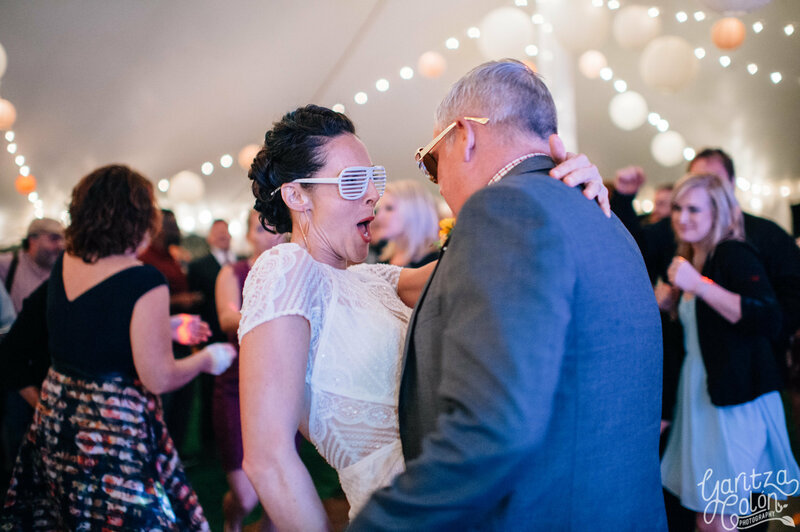 The first First Dance started out with the low key, yet romantic, You’re the One (Black Keyes) and segued into the barnburner Who Do You Love (George Thorogood). 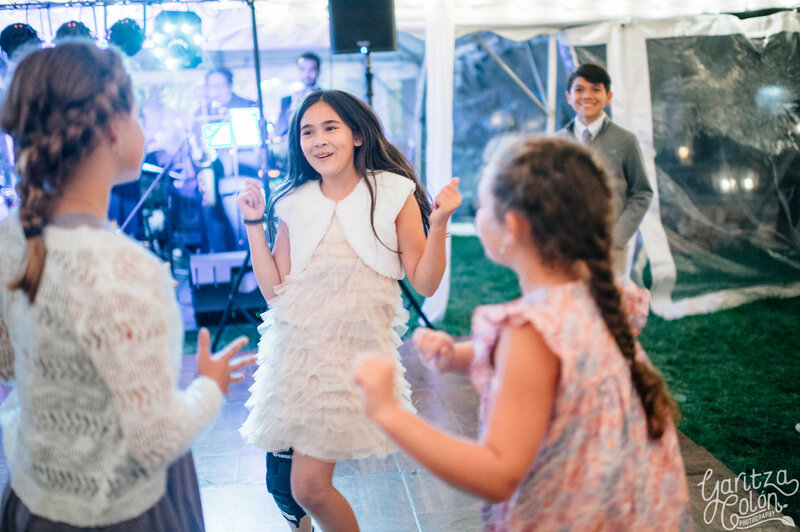 As for BPM, we loved seeing everyone get out on the dance floor…especially the kids! 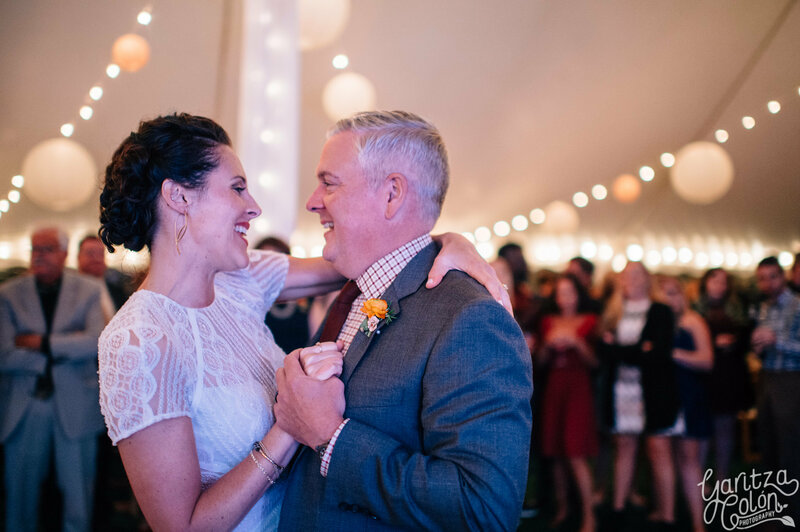 Photographer Yaritza Colon (www.yaritzacolon.com) captured the joy of Amanda and Steve’s special day, which we’re happy to share with you. Other vendors included Morrice Florist (http://www.morriceflorist.com/) and catering by SMOAK (http://smoakbbq.com/) and Soigne (http://soignemv.com/).